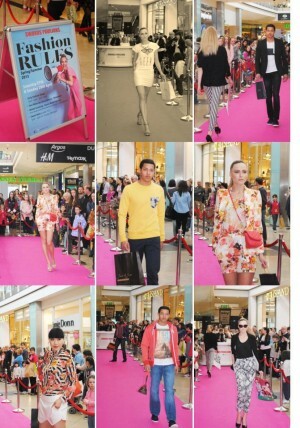 We were delighted to produce and style Swords Pavilions, Fashion Rule Spring/Summer 13 Fashion Shows this weekend. The show highlighted a magnificent selection of high street stores like Zara, River Ireland, Vero Moda, Mango, Awear, Soho, T.K Maxx, Jack & Jones and Dunnes with the 2 newest additions being Vila and Kilkenny. The Fashion show took place in the centre mall. It opened with a selection of bright vibrant colours, playing in to print on print and closing with the latest in monochrome.